Two of the major composers in the long history of music fail to find a sympathetic ear with me. It will come as no great surprise to readers of this blog that I do not really enjoy the music of either Chopin or Liszt. I admire what they did, I respect the admiration with which their compositions are greeted by the great mass of music lovers and I recognise myself the marks of genius in their music. I acknowledge them as major composers; I just don't like the sound of their music. Trying to be objective, I think my problem with Chopin are the superficial layers of pianism obscuring the core of the writing. The genius lies in the harmonic adventurousness and the elevation to distinctive genres of previously inconsequential musical forms. The re-defining of idiomatic piano writing was probably his greatest gift to music; but I just baulk at what I see as excessive and often quite pointless ornamentation and florid decoration. Too many arpeggios and complicated quasi-improvisatory passagework add, for me, an excessive sweetness which is utterly cloying. However, I found myself leaping to Liszt's defence when I attended a talk about him the other day. The speaker falling into the trap all speakers fall into (myself especially) of equating a figure from history with modern life, came up with all the usual things; Liszt the first rock star (because of his legions of female admirers), Liszt the great showman (with his flowing white hair and pseudo-clerical garb), Liszt the tireless performer (800 concerts in a 10-year period, or some such statistic). And then he did the outrageous thing of showing a clip of Lang Lang doing unspeakable things on a piano keyboard and saying something like "This is the modern-day Liszt". No it is not. Liszt was a great artist, unquestionably a brilliant pianist and very clearly a sensitive musician. Lang Lang is a brilliant pianist. Full stop. 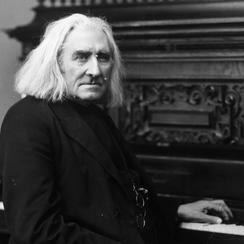 Liszt was an extremely ugly man, with a face full of warts and physical properties of a pig. You can't begin to translate him into a society where physical appearance is everything. Today we go by looks and only then endeavour to find some substance. In Liszt's day society went by substance, and physical appearance mattered not a jot. We could say it was Liszt himself who began to change that, by creating a physical appearance which was, if you like, the icing on the cake of the artistic substance. But what those legions of female admirers saw in Liszt was a man of great artistic skill. They admired his brain, his fingers, his heart. His antics were immaterial to their admiration of him. Lang Lang is an extremely handsome man, with a face as pure as the driven snow and the physical properties of a sculpted movie star. Thousands of dollars' worth of grooming, carefully selected photography shots and a portfolio of poses to go on to record sleeves, concert programmes, publicity posters and Rolex commercials have created a look which is immediately attractive even to those who believe a piano is a small box with the word Roland printed in large letters between the various inputs and outputs on its back. Lang Lang is also a peculiarly gifted pianist. I have never forgotten a BBC interview he gave seated at a piano. At one pointed he illustrated what he had to say by playing just two chords. I have never heard anyone play two chords so arrestingly. There was something in the tone, the touch the balance, the sense of leading somewhere which completely caught my attention. Had I not known it was Lang Lang and heard those chords while doing something else, I would have stopped everything there and then simply to savour the sound. Few, if any, pianists have ever had that effect on me. He has the indefinable gift of touch, which no amount of showmanship can completely disfigure, and that makes him a pianist in a million. I imagine Liszt had the same skill. But comparisons stop there. Lang Lang, great pianist maybe, but a very, very pale shadow of the totality of Liszt. It's quite wrong for us to equate the great men of the past with the popular idols of today. That only cheapens the concept of artistic greatness. Whether you like his music of not, Liszt was a one-off, a unique figure whose like we will not see in our lifetimes. Let's not try to diminish his stature by comparing him with a far lesser mortal. This is Tara Venkatesan, the soprano from India who performed the Das Veilchen at Live! Singapore 2010- just jogging your memory about me. I had the pleasure of meeting you during the symposium and you were so kind to have mentioned me later in your blog! I've just moved to Singapore three days ago and will be going to school here at the Anglo Chinese School Independent and have also been lucky enough to have won a scholarship to the Yong Siew Toh Conservatory as a young artiste- all this makes it very exciting to be in Singapore. But the first thing I'm doing, now that I've moved, is coming to your concert this Friday with my parents! We are greatly looking forward to meeting you there. P.S. Sorry we didn't have your email so we thought we would post it on your blog. Of course I remmber you well. Congratulations on your scholarship. If you don't get a chance to meet me on Friday (I have to fly off to India straight after the recital) then please leave a note in my mailbox at the main office at Yong Siew Toh and I'll drop you a line. Its Hari from American Embassy in New Delhi, don't know if you remember me! I've been trying to get into contact with you...can't find too many people from AES! P.S. Dr. Marc, love your blog!